Why hello, Spring! We’ve been expecting you for quite some time now. (Forgive any impoliteness, but were you stuck in traffic? Overslept, perhaps? Train was late? No botherright this way.) 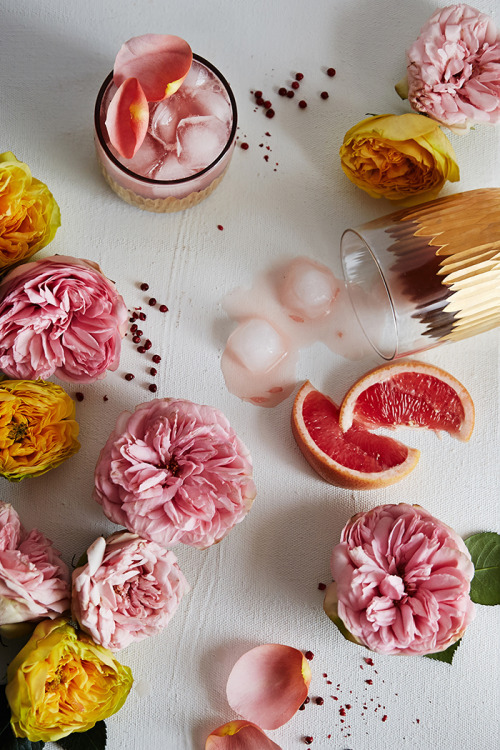 In honor of your sunny disposition and easy-breezy arrival, we’ve mixed up this rose-infused, peppercorn-flecked cocktail. Pretty and pink with fresh floral notes, we think it suits you perfectly. Cheers, long-lost friend! To make the rose-infused vodka, combine vodka and dried rose petals in a jar and let sit overnight. Shake occasionally and strain before use.For the simple syrup, combine all ingredients in a small saucepan and bring to a boil over medium heat, stirring occasionally. Simmer until sugar is dissolved and lower heat. Cook another 10-15 minutes to allow pepper to steep; let cool and strain.To prepare the cocktail, pour the infused vodka, grapefruit juice, tonic water and peppercorn syrup into an ice-filled glass. 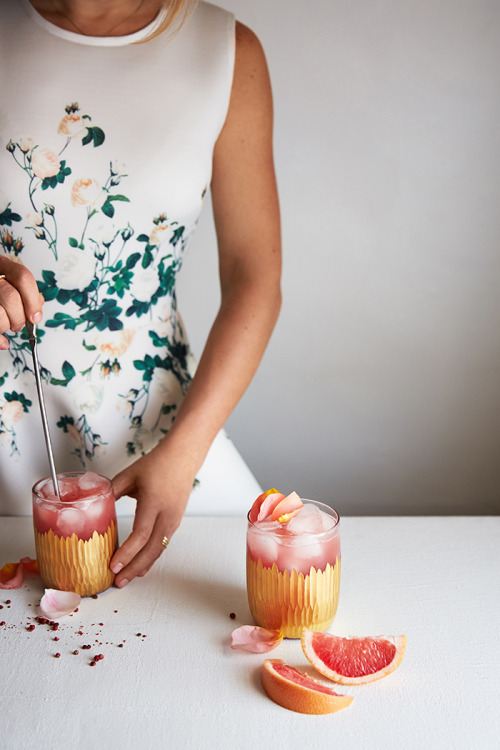 Stir well, garnish with fresh rose petals and sip sweetly! Fancy another petaled pick-me-up? More fresh-as-a-daisy tipples, right this way.